Manchester United players are still on international duty, but on Tuesday evening most of them will be done with the friendly matches for their national sides. After that, they will be returning to Manchester, as the Devils will start preparing for their match against Swansea City. Until that happens, we should still focus on those friendlies and get the best out of them. Manchester United players will certainly be in action, and here are the four matches you should pay attention to. France will be visiting Russia couple of months before the World Cup is going to be held there. They will want to get to know it a bit and will play the hosts. Anthony Martial and Paul Pogba are expected to play for France in this match and it will be a good opportunity to see them in action. A good performance from Martial could be a guarantee that he will be in Russia this June and their rival will be interesting one. Russia lost 3-0 to Brazil on Friday, but were not so bad as the scoreline suggests. England played very well against Holland on Friday night as Jesse Lingard scored the only goal in a 1-0 win. This match will be another chance for Manchester United trio to shine and show why they need to make it in the 23-man squad. Gareth Southgate did some interesting things against Holland as Rashford played up front. Harry Kane’s injury was guilty of that, but if United’s makes it to Russia, Southgate will definitely be happy to have more options playing up front. Ashley Young can give this team solidity and leadership, especially if there will be certain players to contain. Belgium could have those players indeed. 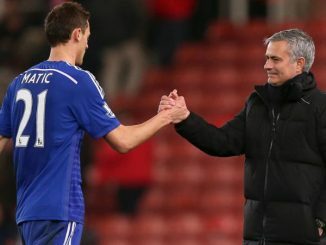 Nemanja Matic did not play well on Friday in Serbia’s 2-1 loss to Morocco. Matic was most of the time invisible, lacking his usual calmness on the ball. That was also due to Serbia playing a very attacking-minded 4-3-3 in which Matic was too often exposed, but his performance was poor in general. 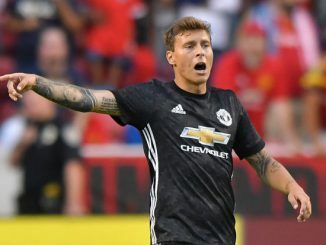 The Man United defensive midfielder could have more company in that part of the pitch if Luka Milivojevic of Crystal Palace is to start alongside him, but the Devils’ fans should also look at some other Serbian players. Above all, Sergej Milinkovic-Savic and Andrija Zivkovic. And the best comes last. This should be fun! David De Gea is expected to be in goal once again for Spain, as they take on Lionel Messi’s Argentina. In opposing goal should be another Man United goalkeeper, Sergio Romero, as he has ben Argentina’s number 1 for many years. Spain played in a typical 4-3-3 the other when they drew 1-1 against Germany, while Jorge Sampaoli tried to get the best out of the squad he had at disposal against Italy. He managed to that, beating Azzuri 2-0, but there seems to be lacking proper depth in defense and central midfield.